Hey guys! I’m Tony, an 8-year-old tan cocker spaniel. I’m a little older, but don’t be fooled. I have plenty of life and love still left in me. In fact, I’ve got just as much energy, if not more, than some of these young whippersnappers in here! I enjoy sitting on laps, going for car rides, and just being with my favorite people. I am very social; I love meeting new dogs and new people. So come check me out! I would love to go home with you. My adoption fee is $65 and includes a voucher for a veterinarian exam, vaccinations, a one-year license, 45 days of pet health insurance, and a microchip. 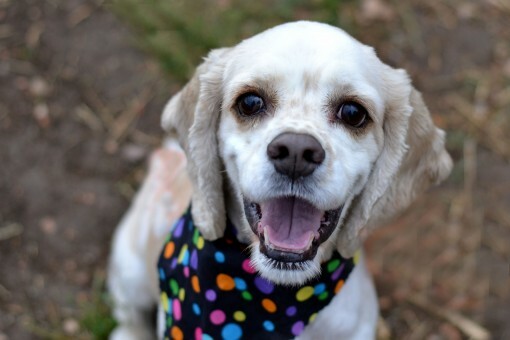 Stop by Humane Society of the Pikes Peak Region at 610 Abbott Lane in Colorado Springs to see me and all of my friends! Click HERE for directions.